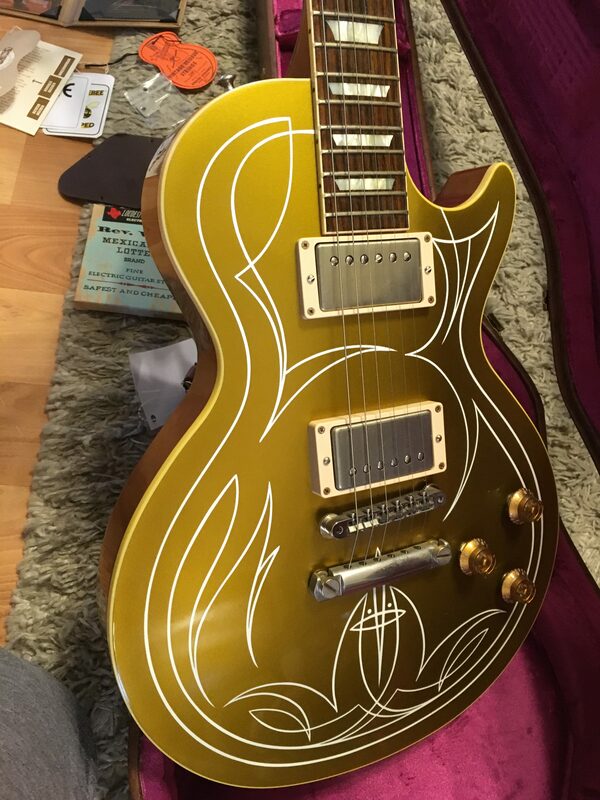 2013 Gibson Billy Gibbons Les Paul Pinstripe VOS Goldtop. It is #39 of 150 made. 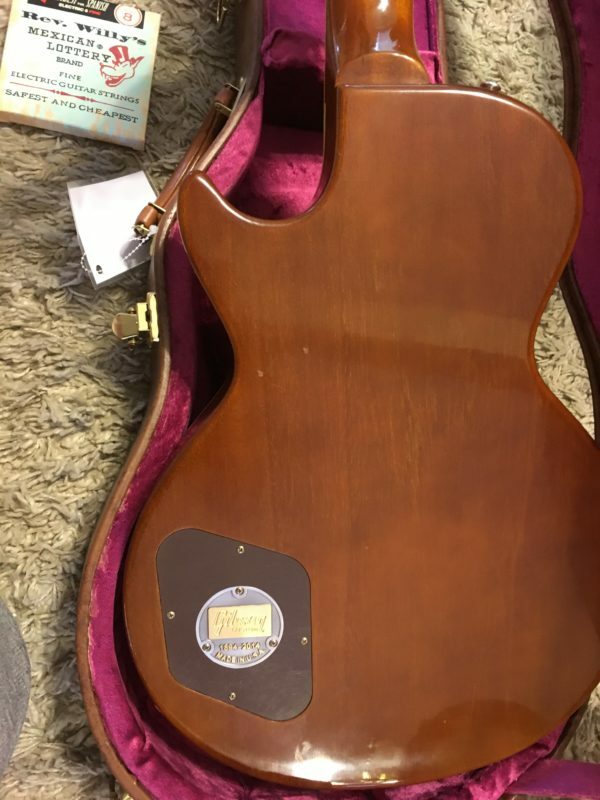 This one is in mint condition (obviously it is VOS so it is lightly aged from the Gibson factory) and just oozes mojo. Excellent player and great vibe. 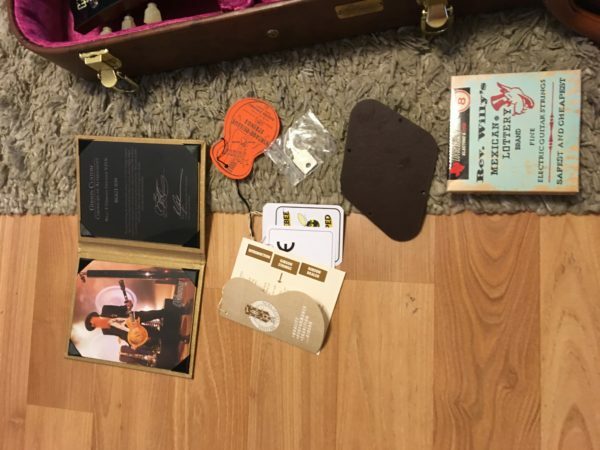 Comes complete as pictured with original case, COA and all tags etc (both control covers) and even has the set of extra Billy Gibbons special edition strings that the guitar originally came with. 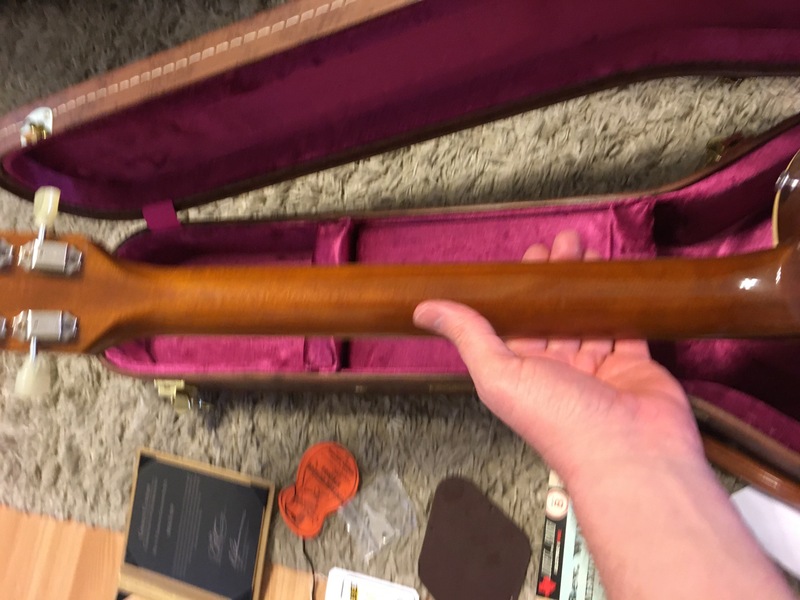 This is a very light guitar, weighing in at 6lbs. 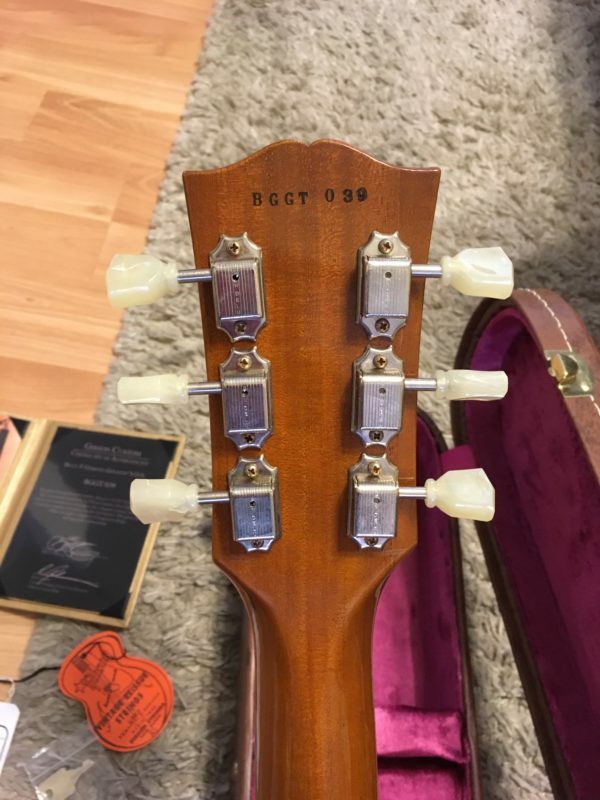 Collector’s condition, it doesn’t get any better than this. We’re proud to present the Legendary Billy F Gibbons’ take on Gibson’s most visually revered guitar, the Les Paul Goldtop. 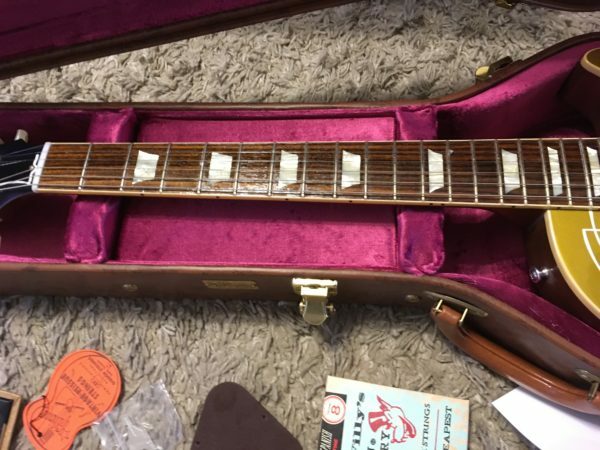 Re-envisioned by rock-and-roll’s most compelling character and statesmen to both style and tone, the Gibson Les Paul Goldtop gets the makeover of a lifetime from the outside in. Aesthetically, the first revision of an already eye-catching guitar in over 60 years is a masterpiece of style, featuring an original pinstripe design by Billy. 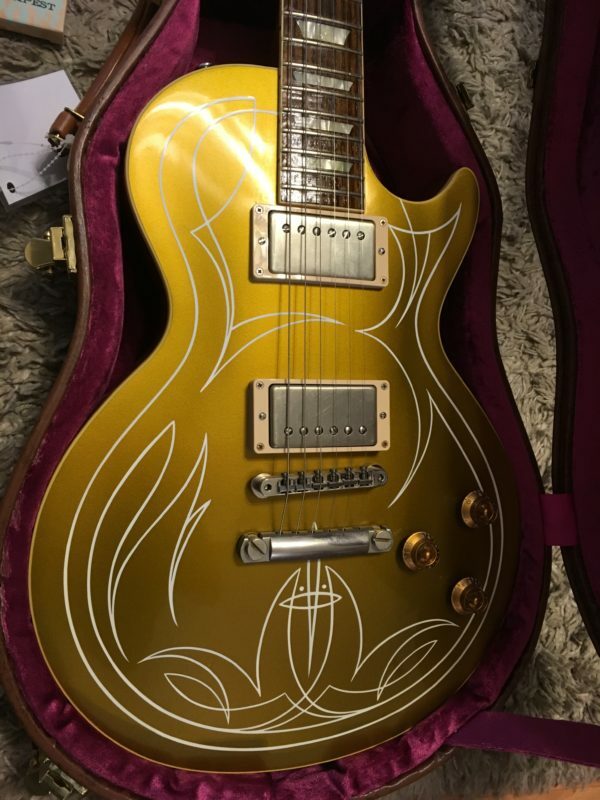 The pinstripe design is recreated one at a time, by hand, by the very steady and respected hands of Rick Harris, along with Gibson’s own artist who Rick himself trained. The subtle differences in each make each one a one-of-a-kind work of art. 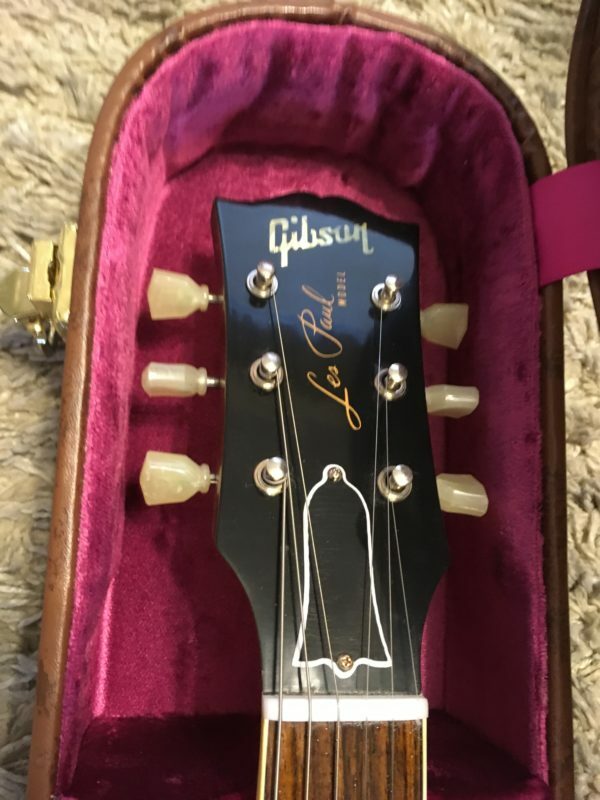 Adding to this unique individual character is Gibson Custom’s hand-aging process, which captures the wear of Billy’s own guitars with the added kitsch of a Texas-shaped wear pattern adorning each one’s back. As a player, Billy’s world-renown tone is delivered through two Seymour Duncan Pearly Gates pickups, the only pickups to bear Billy’s name and stamp of approval. Billy’s signature tone is captured through the guitar’s lightweight, chambered mahogany body, carved from a single piece of wood. 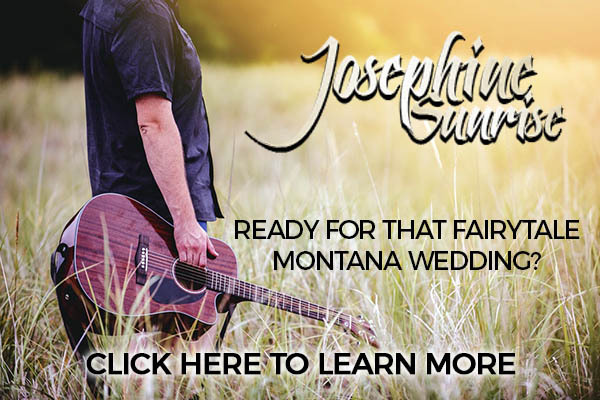 The added benefit of the guitar’s ultralight overall weight makes it as comfortable to play as it is sonically inspiring. 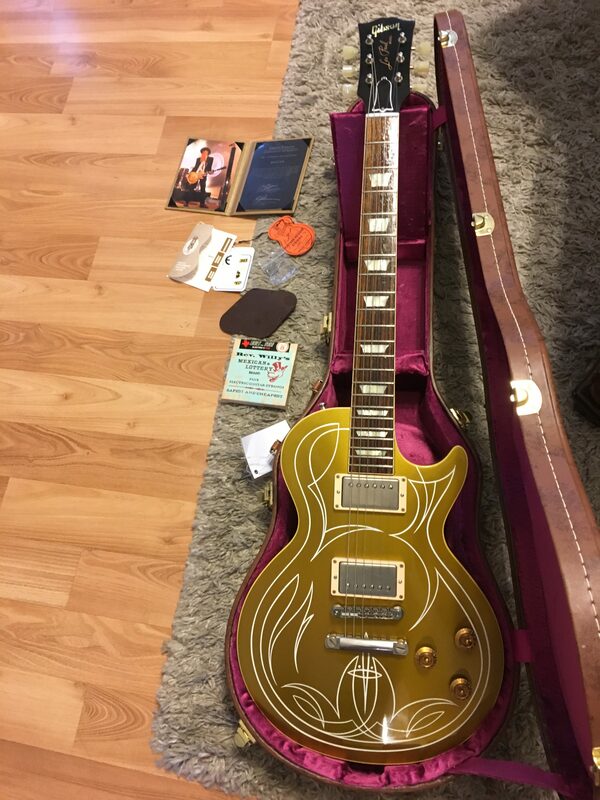 The comfort continues with its neck, a reproduction of Billy’s own Goldtop profile. 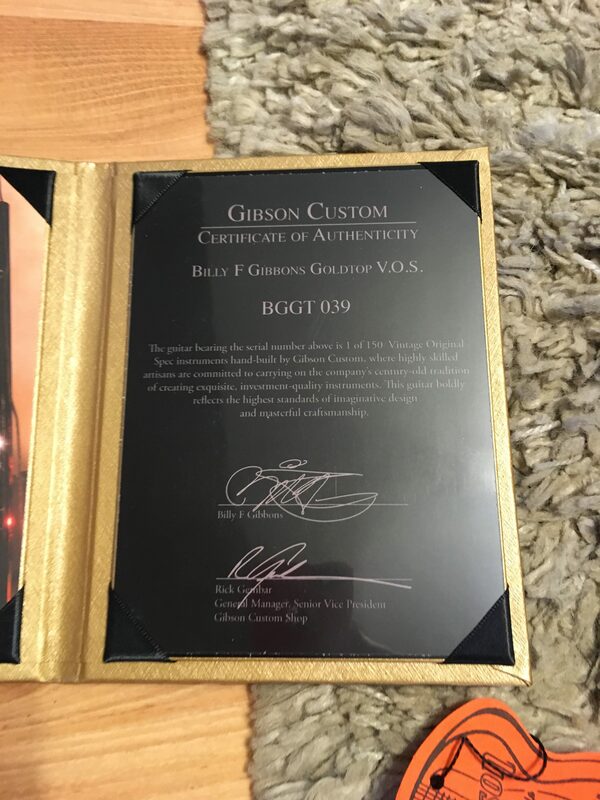 The Gibson Custom Billy Gibbons Les Paul Goldtop VOS Electric Guitar is being offered in limited runs of 150 models.